Here’s your fist quiz question of the day: what is a baseball bat used for? I guess you immediately replied “for hitting baseballs” or something like that. Your brain has excellent powers of thought which are so quick that you can filter out within milliseconds all the other things for which you could use a baseball bat. Your brain wants to give the right answer. But forget the right answer for a second or two. What else could you use a baseball bat for? Well, you could use it as a rolling pin to smooth out pastry, you could use it in the garden to grow climbing plants up, you could use it as a pointer to your slides if you were delivering a presentation. A part of your brain known as the left pre-frontal cortex – the bit above your left eye – has immensely powerful filters to ensure that we think the “right” things. It helps us make decisions and choose appropriately for the world around us. 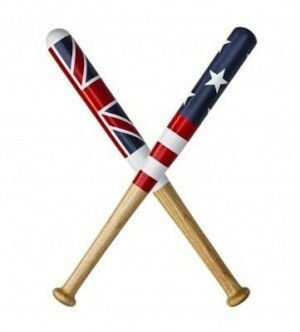 If it didn’t work this way we’d be forever using baseball bats for the “wrong” thing…! The filters in the left pre-frontal cortex work within milliseconds and ensure we operate successfully in the world around us. However, researchers have been able to switch off these filters using small electrical currents applied to the scalp. When they do so, the question about the baseball bat reveals a host of imaginative and creative answers. Our brains become much more child-like. Indeed, the left pre-frontal cortex of children is poorly developed. And how imaginative and creative are young children? As they grow up and their left pre-frontal cortex comes into play they become more adult-like and lose their imaginative streak. So, what is the issue for our presence on the web? The problem is that your Facebook profile, for instance, looks just the same as anyone else’s. Many websites look the same as others. Your LinkedIn page is much the same as another person’s. It means the brains of the people you are trying to reach and connect with go into “filtered” mode – you don’t make an impact because all the possibilities associated with you are filtered out. Similarly, when you are preparing any web content you filter out the possibilities for imaginative and creative use. As a result, your blog, your Facebook profile or LinkedIn page or website looks much the same as any other. One answer to this may well be to place electrodes to your head and give your brain an electric jolt to eliminate the filter and to enhance your imagination. But I don’t advise that…! The laboratory technicians who do this under experimental conditions are highly experienced…! Another option is to stop, pause for a moment when adding anything to the web. Then ask yourself this question: “what else could I do with this page/profile/etc”. In other words, stop thinking of the “right thing” to do and consider ANY other possibility.